VOO has selected ADB’s (Advanced Digital Broadcast) ADB-2840C high definition set-top box with the Carbo platform to upgrade its television services. The Belgium based broadband and cable television services provider said they needed to upgrade its TV services to include high definition. Key to the solution is the Carbo software, an award winning and international recognized pay-tv user interface. The new VOO Carbo-based Voobox offers a set of integrated open standard APIs for 3rd party applications. 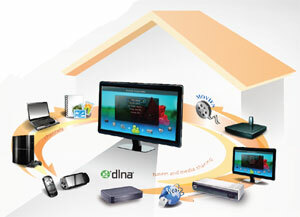 It also incorporates an array of options, whilst at the same time delivering a rich TV viewing experience. "Additionally, having Carbo Advanced integrated in the box allows us to enrich our subscribers' experience over time without having to replace the hardware", said Nico Weymaere, CTO at VOO. 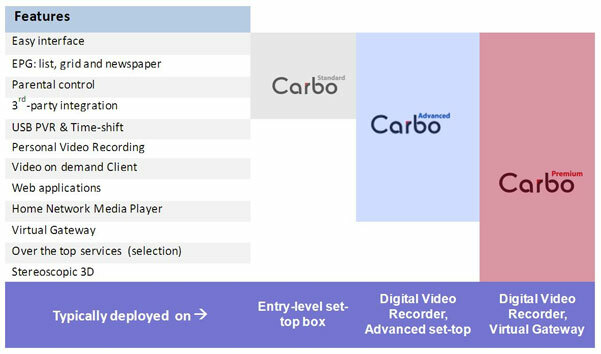 With Carbo on the Voobox feature such as USB recording & Time-shift, Video on Demand (VOD), Web Applications and home media network play can be added later without changing the set-top box. "From now on VOO will only provide to their customers products that support high definition digital television. Having chosen the Carbo Advanced solution, VOO can add future features via an over-the-air upgrade without having to change the simple and intuitive user interface that consumers will have come to get used to", said Krzysztof Bilinski, Executive VP, General Manager Broadcast Division at ADB.